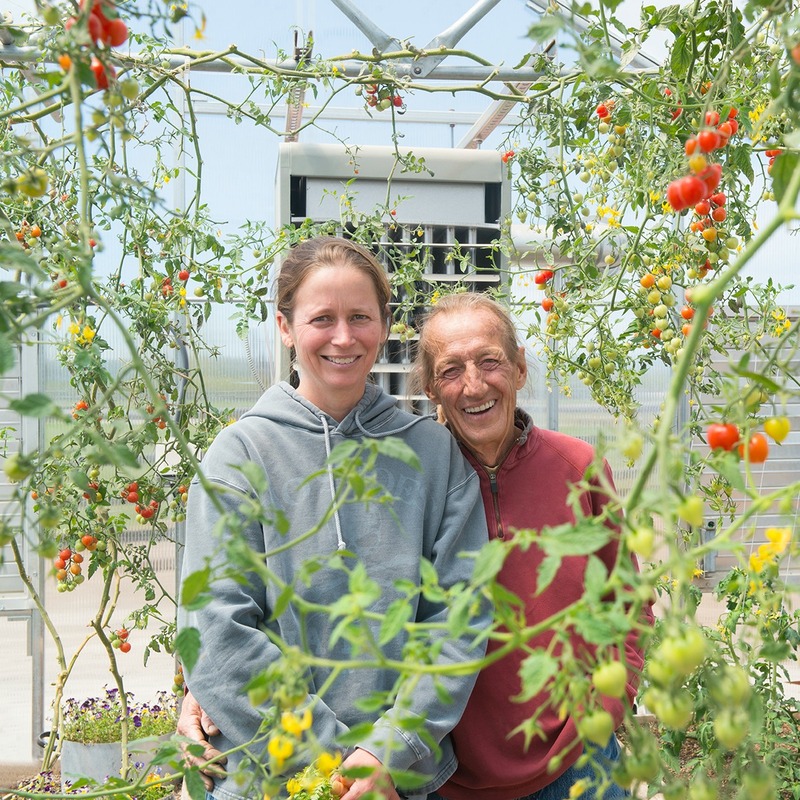 Kraay’s Market & Garden customers love Wednesdays, which is when owners Sherry and Larry Kraay do their door-to-door deliveries of delicious organic food. Since launching the homegrown food business in 2014, the Bellevue couple has experienced “overwhelming demand” for their fresh veggies, eggs, canned items, vegan baked goods and specialty items, along with prepared foods made by local chefs. If you haven’t tried Kraay’s carrots and cherry tomatoes, you haven’t lived! What inspired you to start Kraay’s Market Garden? Our inspiration for starting Kraay’s Market Garden came from Eliot Coleman. We had purchased a greenhouse for our own use and in studying about greenhouse growing, we came across Eliot Coleman’s books. When we started growing our produce, we thought we would sell to local restaurants and it was just not the right fit, as our supply and their demand did not match up. We then reached out, through social media, to individuals and the home delivery business began. How did you learn about growing food? We have had home gardens for years, but the greenhouses and large scale production has been a learning process for us both. We have gained great knowledge through books by Eliot Coleman, Jean-Martin Fortier and Shane Smith. Some of our most valuable tips have been from other local farmers and producers. We are so thankful for their knowledge! I don’t think we have a “favorite” thing to grow. We enjoy offering a variety of produce to our customers year round. Having tomatoes all winter long is pretty special, though, and our carrots were a huge hit this year! What we love most about our work is being able to get lost in what we are doing and being able to enjoy the wonderful relationships we have with our customers. It is so rewarding knowing how much they appreciate what we are doing. Our biggest challenge so far has been the management of the business growing so quickly. Not to mention the pests, equipment failure, etc. We are both vegans for several reasons. First and foremost is that we are animal lovers, eating animals just does not make sense to us. We went to a plant based lifestyle for health reasons. Larry’s parents both died in their early 60’s of heart attacks. After some testing, he was told that he had a pretty good chance of having a heart attack himself. Instead of taking medication, we knew we could correct it with our diet (and we did). Having seen the documentary Forks Over Knives, it just made sense to us…..which is what got us started on this whole endeavor! Why did you decide to partner with other farms and producers? We decided to partner with other farms and producers due to not having enough produce to supply our customers last winter. We enjoy supporting other like-minded producers that can provide high quality products to our customers. We appreciate each and every one of them. Organic is the only way it should be. It is authentic and pure…..the way our grandparents did it. With mass production, we lose too much. We are concerned about GMOs. In our opinion it is not so much that GMOs are the problem, but the fact that they are being produced to be able to be sprayed with chemicals that are detrimental to our health. Who is your food hero? Our food heroes are the Esselstyns (Caldwell, Jane and Rip) and Lindsey Nixon, www.happyherbivore.com. They are our plant based food go to's. What can our community do to support your efforts? Most important for us is your feedback! Buying local whenever you can helps support our efforts, along with our partner growers and producers. And of course you can go to our website www.kraaysmarketgarden.comand sign up to be a customer!